The Back Bay is a centrally located neighborhood that is bordered by the Charles River, Boston Public Garden, South End and Fenway neighborhoods. It is home to some of Boston's greatest attractions, such as Copley Square with the Boston Public Library (America's first public library), Trinity Church, the scenic Newbury Street and the lovely Public Garden - which define the unique architecture of the city. At its eastern end, it is a quick walk (~15 minutes) to MGH and throughout its length it affords easy access to the Green Line for a quick commute to either BWH or MGH. Within its borders are numerous shopping and restaurant centers along Newbury and Boylston Streets, as well as the malls at Prudential and Copley. It is within a short walk of the Esplanade,a beautiful park that runs along the length of the Charles River. There are lots of activities to enjoy, including visits to the Boston Symphony Orchestra as well as a variety of exhibitions(glass art, prints, sculpture, paintings, photography). Compared to most other neighborhoods, with the possible exception of Beacon Hill, rents are more expensive for less square footage. 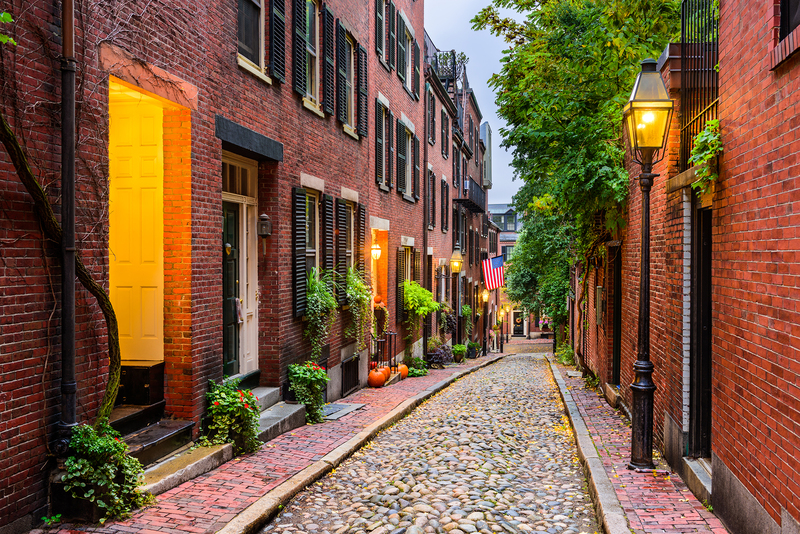 With its idyllic charm, rows of red brick houses adorned by glowingly green trees and gas-lit lanterns forming narrow alleys, Beacon Hill is one of the most scenic and desirable neighborhoods in Boston. 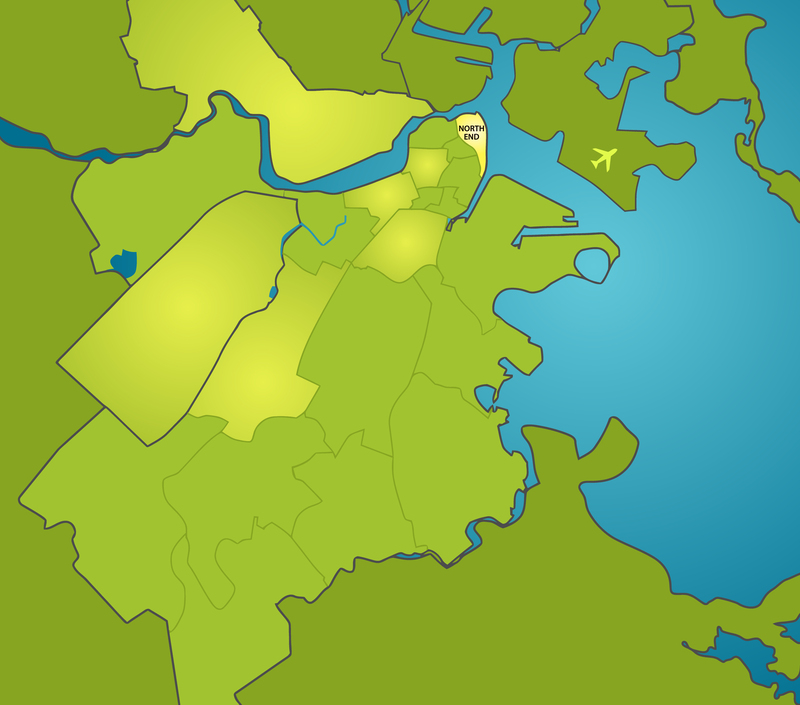 A major advantage of living here is the central location: not only is it conveniently close to MGH (~ 5 min walking distance, free shuttle to BWH runs from there), but also only a few steps away from the beautiful parks (~ 5 min walking distance to Boston Common and Public Garden), Charles River (5 min walking distance), the downtown area (~10 min walking distance to Newbury Street) and tasty food such as Italian and Asian cuisine (the North End and Chinatown can both be reached within 10 min). One can easily travel to Cambridge via the Red Line and Brookline with the Green Line as well. The proximity to the park and river opens up a great variety of options regarding after-work activities: sailing & kayaking on the Charles, watching the symphony or a local band perform an outdoor concert in the 'Hatch Shell' at sunset, jogging and biking alongside the beautiful river, ice-skating on the Frog Pond in the Boston Common or seeing a Shakespeare play in the park - there are numerous ways to enjoy life after leaving the hospital. Because the area is very popular, it can be a challenge to find a decently sized place at a reasonable price. 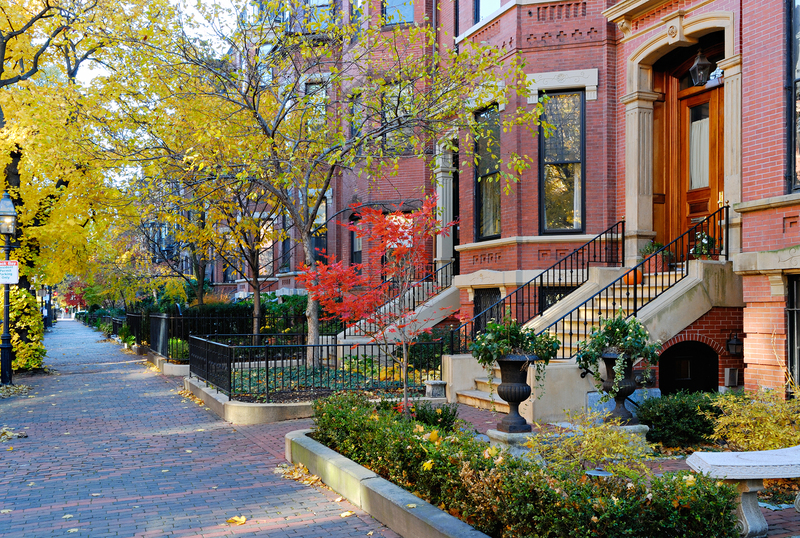 If you are interested in living here, it is helpful to enlist a broker and asking us about outgoing residents who are living in Beacon Hill and may be looking for somebody to take over their place. Brookline is a fascinating town to live in. It is one of the safest places in Boston area, very quiet, peaceful and residential. But do not be fooled by its seeming serenity. Just take a trip to the Coolidge Corner and you will most surely enjoy local indie movie theater, company of joyful students, various restaurants and summer concerts. In terms of places to live, you have a wide variety of options from luxurious Longwood Towers to a room in an old historic house filled with student renters. Brigham and Women's Hospital is nearby - easy 10 minute walk or just few minutes on a bike. Trip to MGH is easy too - any green line subway will get you to the Government Station from where MGH is only a short walk away (or you can switch to the red line and enjoy the T for one more stop). Once again, if you choose to bike, a wonderfully scenic 27-30 minutes ride by the Charles River awaits you. In terms of finding the right place, local listings and Craigslist are your best friends. Keep in mind that getting around in winter time may become a bit more challenging in the snow. But no worries, Brookline city authorities are excellent with cleaning the streets so their beloved citizens travel safely. T-stations are abundant and there is always at least one within 10 minute walk. If you have a car and still planning to keep it after moving to Brookline, ask about availability of parking spots well in advance, since not all places can provide it. Hope you will consider Brookline as your favorite hibernating place while in residency! 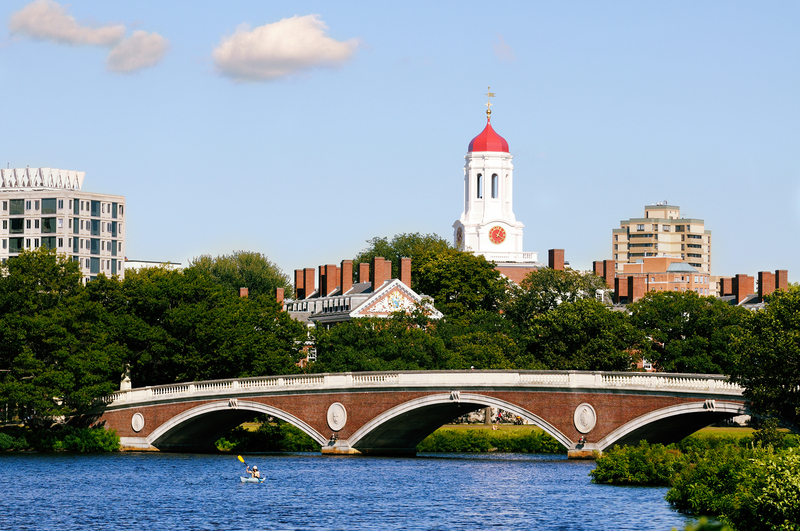 Home to MIT, Harvard, and Tufts, Cambridge hosts a large, diverse population. Each area has its own special "feel" - the hip and trendy Davis and Inman Squares, biotech-centered Kendall Square, or eclectic Central Square amongst others. There are great ways to get exercise along the Charles River. Areas of Memorial Drive are closed to cars on Sundays so pedestrians and bikers can enjoy the river. There are boathouses at Kendall Square and the Charles River basin to rent kayaks, canoes, or sailboats. If you enjoy biking, ride the Minuteman Bikeway to Lexington and beyond. Runners have a multitude of amazing possibilities (running map). Cambridge hosts hundreds of excellent restaurants. Gastro-pubs are scattered all over, but try Green Street Grill in Central, Temple Bar in Porter, or Russell House Tavern in Harvard, amongst a multitude of others. Visit Julia Child's favorite Chinese restaurant at Mary Chung's, or some authentic Taiwanese food at Mulan, both near Central. Or try the Japanese Market in Leslie University at Porter, with several small stalls.Cambridge also has excellent Indian, Thai and other ethnic cuisines. For late night entertainment, clubs include Middlesex and The Enormous Room in Central. For those who love salsa or swing, try Ryles in Inman, or the Havana Club in Central. For movies, visit the Brattle Street Theater. For plays and theater, try the American Repertory Theater. If you like pool, try Flat Top Johnny in Kendall or Diesel Café in Davis. There are numerous performances during the school year in all 3 undergrad campuses. Also visit the Harvard museums - it is amazing how much art and natural history is hidden in the back halls of the University! Jamaica Plain, or “JP” as locals know it, is a large vibrant neighborhood in the Southwest of Boston. It is unclear exactly how it got its name, but it may have been named after a Native American woman named Jamaica who lived in the area in the 1600s. 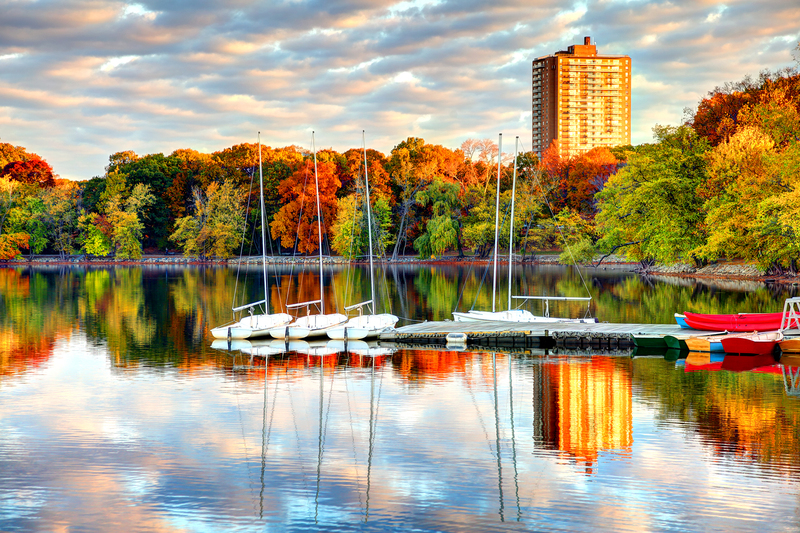 It’s a great place to live if you’re looking for a little green-space in the city, with 180-acre Olmsted park, 250-acre Arnold Arboretum, the city’s largest body of water, Jamaica Pond, and Franklin Park, which features a golf course and zoo. JP has a bohemian feel, with an eclectic artist and artisan community. 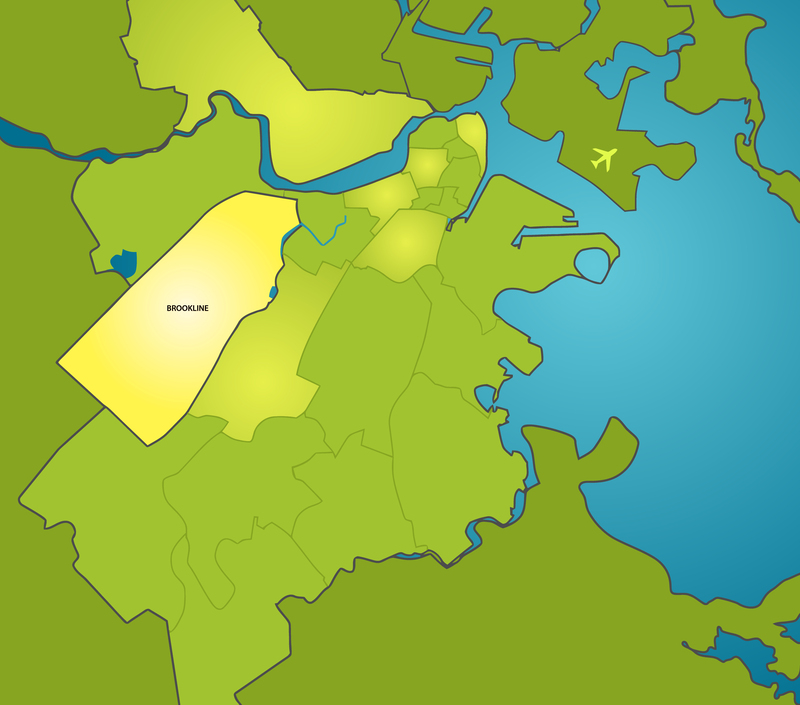 It is also one of the more diverse neighborhoods in Boston, with a considerable African American population, the city’s largest Hispanic community, and a thriving gay population. 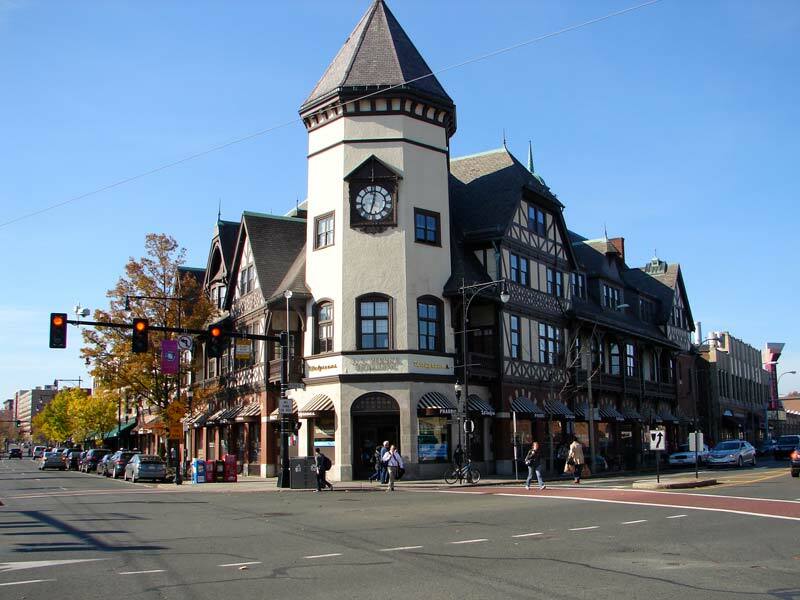 Centre Street and South Street are the main commercial streets in JP and feature charming small businesses, boutique shopping, an arts center, neighborhood pubs, two grocery stores (Stop N’ Shop and Whole Foods) and a food co-op, many ethnic restaurants, and the original J.P. Licks ice cream shop. Housing is more affordable in JP than in many parts of the city, particularly in some of it’s more “up and coming” areas. Much of the housing consists of brightly colored triple-decker homes that have been broken up into 3 units. In general there is a higher likelihood of finding a pet-friendly building here than in other parts of the city. Parking is not too difficult, and downtown Boston is also accessible via the green or orange T lines, the 39 or 41 bus, or the Southwest Corridor, a beautiful biking trail. The North End of Boston transports you to a small town in Italy. 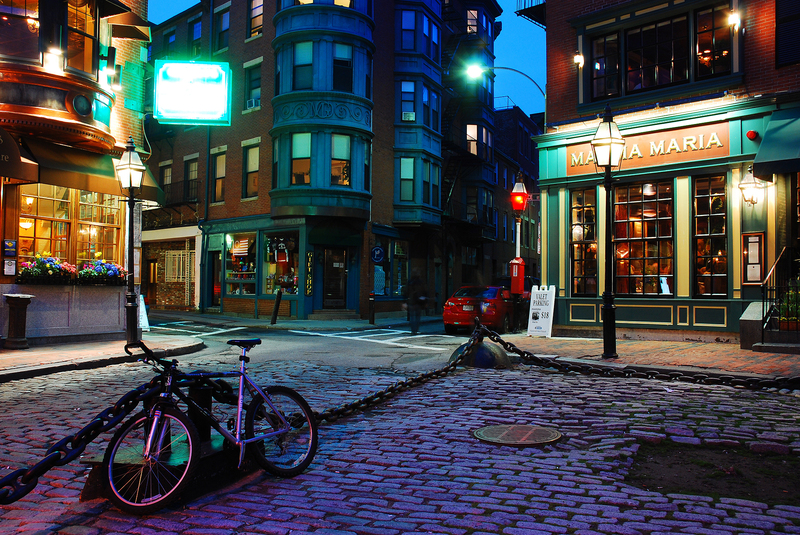 It is a major tourist attraction for its history, churches, and proximity and accessibility to downtown and the Waterfront, yet the North End maintains a true neighborhood feel and a vibrant energy. While it can be challenging to get a lot for your money in terms of real-estate, what you do get is a seemingly endless variety of restaurants, coffee shops, bakeries, grocery stores, and parks. Even if you don't live in the North End, don't miss out on the many Feasts that go on during the summer! Just south of Back Bay and Chinatown, South End is a bustling neighborhood that has unique Victorian style housing and arguably the most diverse array of restaurants, art galleries, shopping options, and recreational parks in the Boston area. From a living perspective, South End has “restaurant row” on Tremont Street which has some of the newest and trendy restaurants and bars in the city. There is Prudential Center and Copley Mall 5-10 minutes away for commercial shopping in addition to many small boutiques. There is the Boston Ballet, Boston Center for the Arts, and Wally’s Jazz Club for those interested in the arts. There are over 11 residential parks where you can spend time. There is also a strong LGBT community in this area. Logistically, the South End has no T lines running directly through it which creates a true neighborhood vibe. Rather, it is flanked to the Northwest by the Green Line (Prudential/Copley) and the Orange Line (Back Bay and Massachusetts Avenue) and the East by the Red Line (Broadway). There is also a bus line that runs directly through the South End and is called the SL4 (Silver Line). Depending on where you live, getting to a T or bus can be anywhere from 5-10 minutes and getting to BWH or MGH could take 15-30 minutes depending on where you live. Back Bay, Chinatown, Boston Common and the Sea Port is all about 10-20 minute walk depending on where you live. 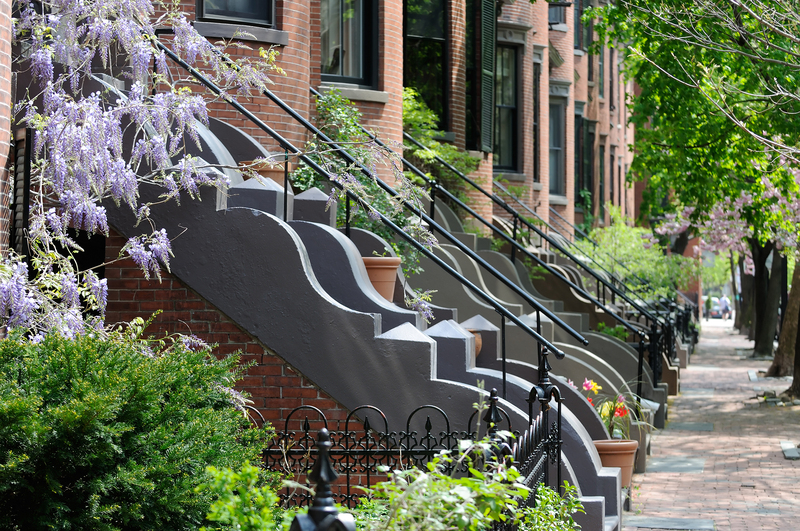 In terms of affordability, South End is on par with neighborhoods like Back Bay and Beacon Hill but there are a range of housing options including high rises and brownstones. As with most locations in Boston, using a realtor is usually required for most places but some places can be found on Craigslist or Zillow for no fees.